Memo to the Toronto Star: A ten year old can make a newscast now. Doug Ford is mocking the press, not respecting them. 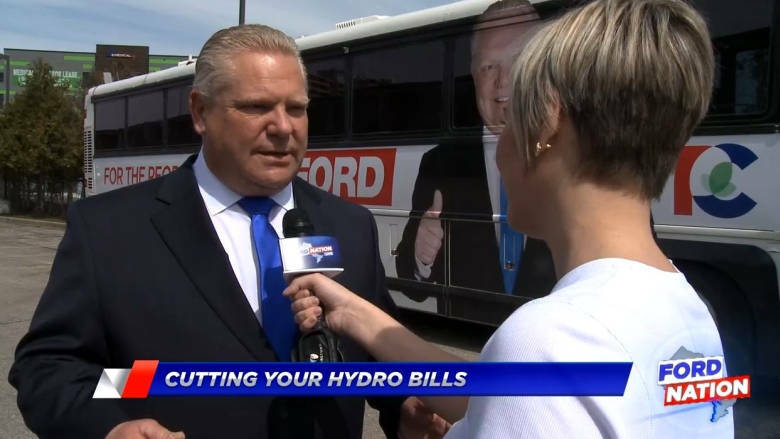 Doug Ford is making his own advertorial newscasts these days, bypassing the press and just running stuff on the Internet. That's how little skill it takes to do it. After all, the Ford brothers had a radio show on Toronto's News Talk 1010, and even flirted with a television show on the now defunct Sun TV that the legacy media once dismissed. But as usual, the Toronto Star is tying to spin his own unreasonable facsimile as having respect for the media as they jab him. Sorry, children, it is a jab to you to let you know that it takes no effort to emulate a newscast. He doesn't need actual journalists covering him, just a Ford Nation brand. And it is a brand that's proven stronger than the Star brand. This is the same newspaper that speculated that Rob Ford's death would weaken Ford Nation. It was strong enough to secure Doug Ford a victory as Ontario PC leader. The Star, on the other hand, is spending days begging the federal government for free money to subsist. The Liberals are throwing temper tantrums, demanding an investigation over them...even though former CBC and City TV journalist Ben Chin did the same thing for the Liberals in 2007 (who won that round, by the way), and went on over to the party in both British Columbia, and then for the federal Liberals. And that tells you something else about journalism: it is the breeding ground for partisanship, and picking sides all in the hopes of a patronage appointment for your loyalty. Doug Ford knows it, and just cut out the middleman because they aren't needed anymore. Anyone can make a newscast. With a smart phone and a Twitter account, you can make any kind of citizen news outlet you want. And it makes journalism obsolete. So don't think you are making any jabs at Ford's expense. He is merely pointing out it is 2018. He doesn't need a media bus when he can get his own message out by himself. And in spite of all that, he can win. It is not a done deal, of course. Kathleen Wynne is tattling away nerd style, and it could work. Or it can blow up in her face when voters remember all those irksome kids who tattled on them in their youth, and then give her the heave ho in a symbolic gesture. It doesn't matter, but once upon a time, it would have been unthinkable to bypass the media in a campaign.